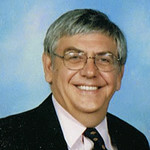 Andrew Petrie has served in numerous positions for the EBU (see below). He is currently the Chairman of English Bridge Education and Development, the national charity for the promotion and development of bridge having taken the position in November 2015. In 2016 Andrew received the Gold Award - the highest award given by the EBU - for his services to bridge. Andrew has been involved in giving service to Bridge for a number of years. In 2003 he joined his county management committee and was also Lancashire’s Tournament Secretary. He was elected to the EBU Tournament Committee in 2007 and became its Chairman in 2008. He stood, successfully, for the EBU Board in 2007, In 2008 he became Vice Chairman and then Treasurer in 2012 before retiring from the post in 2015. Andrew gave a great deal of time to EBU affairs for which the Union should be and is grateful. He was instrumental in the introduction of Universal Membership in 2010, which changed the whole basis of membership and secured the future of the union and its members for many years to come and later did much of the work to enable the start of the charity, English Bridge Education and Development. He is now the Chairman of EBED and is leading it from strength to strength. In the light of the preceding, the Board is unanimous in awarding Andrew its Gold Award, the highest honour it can bestow. I’ve been playing bridge since I went to Cambridge University in 1969. I was lucky enough to be there when there were a lot of strong players, such as Pat Collins, John Reardon, Keith Loveys and Richard Butland. Afterwards, when I moved back to Yorkshire I played regularly with David Colley from 1972 until I moved to Lancashire in 1992. Our best performances were the quarter final of the Gold Cup and runners up in the Tollemache 3 times when we had the likes of Forrester, Smolski, Senior playing with us. I became a Grand Master in 2004. I’m married with 3 grown up daughters. On the work front I was with British Aerospace for over 30 years, starting in R&D, moving into senior management and finishing as an HR Director on the Board of 3 of its businesses. I have a PhD and a Diploma in Management Studies. I am a member of the Chartered Institute of Personnel and Development and a former Chartered Engineer. When I took early retirement in 2003, I became a local JP and a member of one of the sub-committees responsible for appointing new magistrates. When I retired I also felt it was time to put something back into bridge after enjoying it for so many years. Thus in 2003 I joined Lancashire’s Executive Committee and from May 2006 until May 2008, I was Lancashire’s Tournament Secretary. In 2007, I joined the EBU’s Tournament Committee and in early 2008 the Board. Recently, my wife Veronica decided to take up bridge when I retired so we have started playing together once a week at Southport Bridge Club. We now play at a number of Congresses, often making them part of our holiday schedule. It’s been extremely enjoyable watching her develop from a relative novice to a competent player. I think I’ve also learnt a lot myself from playing with a relative beginner. Having retired I’m now able to play at least one day most weekends in EBU or Lancashire events, either with Veronica or with other partners from around the country. Cat - they always seem so relaxed but alert. I particularly admire Bill Gates - for making the PC usable for so many, for building a business empire and for being prepared to leave most of his money to charity. Which 4 famous people (dead or alive) would you invite to a dinner party? Terence Reese, Richard Feynmann, PD James and Annie Lennox - I'm not sure whether they would get on very well though.